Forex Day Trading or Hold Positions for the Longer Term? Which is best? Forex day trading has its advantages and disadvantages. Those day traders whom study intra-day charts with shorter periods of time have some advantages over traders whom only use end of day charts. Can trade with closer stop losses, thereby limiting risk. Detection of reversal of trends earlier than end of day traders. 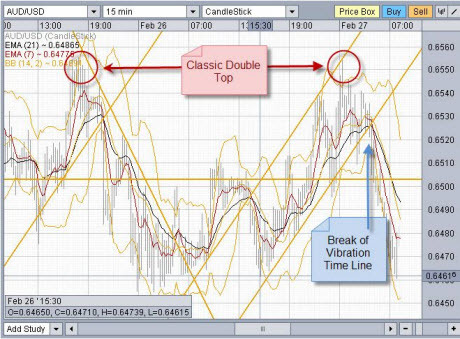 Avoid overnight unexpected price movements, when unable to view the markets. Involves more time commitment than end of day trading. Who makes the most money? Day traders or Position traders? A good question would have to be, do those whom practice forex day trading make more money than the traders whom hold positions for at least a few days? I have not heard of any research that answers that question. I would assume (overall) that end of day traders whom hold positions for between one to four days or longer would be able to make more that a day trader entering and exiting positions all day long. (Some well known successful day traders are also known to hold positions open for a month or more at a time, looking to capitalize on the longer term cycle). Why could it be assumed that position traders would make more money than day traders? Overall, because of the physical and mental demands / challenges / stress of day trading, which most people would not be able to cope with day in day out. The forex market can oscillate up and down wildly at times thereby putting enormous pressure on day traders trying to perform consistently. With the increase of automated trading robots, this will no doubt change? What WD Gann calls the weakest element in trading, "the human element" has now been overcome. The most profitable traders into the future are probably going to be those that use a combination of end of day strategies with their automated robots. That is these 'end of day traders' whom in the past have traded time frames of one to four days will now build simple MT4 programs to only trade the anticipated direction of their one to four day forecast. 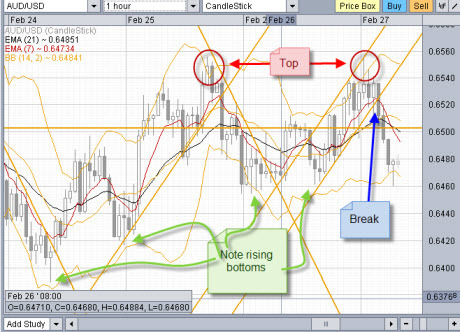 The example below is a 15 minute candle chart which shows a vast array of information that those forex day trading can take advantage of before the end of day data is available. Longer term position traders can also benefit from reading intra day price action. Even though they may not actively 'day trade'.